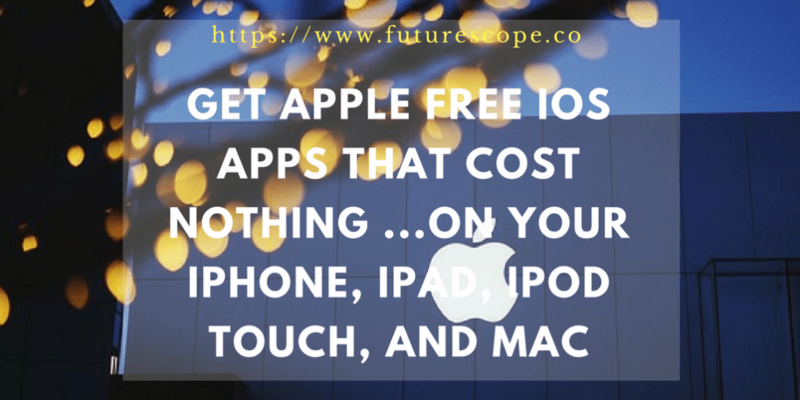 The market has hundreds of thousands of free apps for iOS to offer. The following list represents our pick for the top free iPhone apps and includes applications for travel, social networking, photography, news, productivity and more. Most of the apps are also compatible with the iPod touch. Facebook Messenger is one of the wonderful mobile chat clients, which will connect you to billion-plus Facebook users across the globe from your iPhone. It is available as a complete package providing video, voice, text, payments and the now secure secret messaging. What’s more, Facebook has been constantly updating the application to accommodate more users. After downloading and installing the application, activate it to start communicating. It is that simple. And if you are currently living in a multi device household, you should note that there are versions of Windows, Android and Web interface. It is also among the few messaging services that do not require mobile applications to use. The modern youth are not interested in memories. Instead, they are favoring sharing of moments and actually, there are many apps to help them do that in a better way. Snapchat is one of the apps. In addition to helping you share pictures easily and faster, the excellent free iOS app has power live video and text messaging features. Sanpchat has also expanded recently, and it is now more like the traditional social networks with new Memories feature which will save your at one time ephemeral images. The flighty photo app has survived the transition and still defines moments in time. A day will rarely pass without seeing individuals walking around with laser-sharp focus on their mobile phones. Normally, you would think that they are having an intense Snapchat session or following direction. However, they are most likely playing Pokemon Go. The mobile game took the world by surprise in late 2016, and with great reason: it is the closest we have gotten to training and capturing actual, real-life Pokemon. It is also among the most addictive games you will play on your iPhone. The developer has added raid battles recently into the game in form of challenging new combats for experienced players. The most recent update to Instagram boasts a feature that makes it easier to shoot photos and edit them. With the free app for iOS, you will no longer lag behind in the ever growing addictive photo-sharing community. The application consists of many adjustable video and photo filters, video sharing, shooting and basic editing. Share your photos privately with others. Even more, Instagram is likely to get better and better with the Snapchat-style Stories feature. The Facebook app for iOS is brimful with features and the most recent version – Facebook 8.0 – is available on the App Store. With the app installed on your device, you will enjoy the full Facebook experience such as viewing news feeds, uploading photos and adding status updates. Put differently, Facebook is the app you need to start sharing various aspects of your life with your family and friends. Apple has already integrated Facebook into the iOS 7 and therefore you will only add your Facebook ID and the password to access it. The YouTube for iOS is among the best standalone apps for browsing the website, since Apple removed their version from the iOS and honestly, it is a big improvement. In the most recent update, YouTube redesigned their interface and the new picture-in-picture video feature allows users to watch videos while still browsing other sites. That alone has made the app even better. Just like you expect with their website, with the application you can upload and watch videos, browse your playlists and subscriptions, keep up with all your favorite channels and do other things. The application launches with a variety of video feeds, which are a mix of recommended videos and your subscriptions. Google Maps for iPhone, upgraded in 2013, includes integration with Apple’s Contacts app. You can now activate the voice search feature and Siri by pressing your device’s microphone icon inside the search box. Google Maps functions better with the other apps, disappearing into the background whenever need arises and continues to offer spoken turn-by-turn directions. If you have never heard about Google Earth, it is an app that allows users to dig into the earth’s detailed satellite imagery with a single finger swipe. An included menu options allows you to select the Google Earth, which is another free app to help you get to your destination. Pandora for iOS allows you to make music stations on any iPhone device based on genres or artists and skips nothing with the improved buffering. It is a wonderful mobile application for listening to and discovering the new music in the market. And with the developer adding more new features regularly, you are likely to maintain the app as your main streaming service. The newest version of Pandora Radio for iOS has improved playback buffering to prevent music stoppages. You can use any URL on the website. Netflix is most likely to remain the king of online streaming in many years to come. The application for iOS uses more global bandwidth that delivers quality videos. According to statistics, Netflix uses 37% of American peak-time internet bandwidth as compared to the 4% of Bittorrent. The app has become a bigger deal in other places too. It is already accounting for a large amount of the European downstream traffic. In other words, it is big than the other streaming video services including Amazon Prime Instant Video, Google Play Movies and TV and Hulu. You might need to install it to understand why. Spotify Music was amongst the first sustainable on-demand services for music streaming. Currently, it supports iPad, iPhone, Windows Phone, Android, BlackBerry and web streaming. Spotify plays host to more than 25 million tracks and provides more deals and exclusive content than the other on demand streaming services available for Android and iOS. With custom stations, curated playlists, and offline listening, Spotify has stood to be the best music streaming services around the globe. Their services are available in over 50 countries around the globe. Lorith, an enthusiast notable tech minds from around the world. Creative experiences take him over tech trends. Share his thoughts about innovative technologies in his spare time.